Since the entry into force of the North American Free Trade Agreement (NAFTA) in 1994, several arbitral tribunals have rendered awards dealing with claims of breach of Article 1105. Some of these awards have been very controversial and have had a tremendous impact on the development of the concept of fair and equitable treatment (FET) and the evolution of international investment law. Yet, in spite of the fundamental importance of these awards, no comprehensive study had been undertaken to determine the meaning and the content of the FET standard under NAFTA Article 1105.
how NAFTA tribunals have assessed damages for breach of Article 1105. 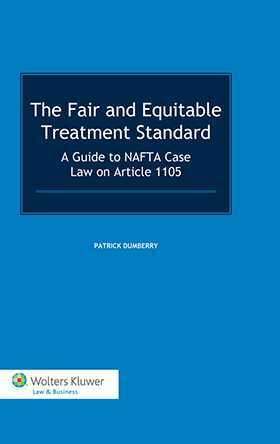 This comprehensive guide to NAFTA case law on Article 1105 is an important contribution to the on-going controversial debate about the scope and content of the FET standard under international law. It will be of great interest to counsel for investors and States as well as to arbitrators, academics and anyone interested in investor-State arbitration. Part I. The Framework of Article 1105. Chapter 1. The Emergence of the Concepts of the Minimum Standard of Treatment and the Fair and Equitable Treatment. Chapter 2. The Meaning of Article 1105. Part II. The Content of Article 1105. Chapter 3. The Substantive Content of Article 1105. Chapter 4. The Relationship between Article 1105 and Other NAFTA Provisions. Chapter 5. Assessment of Damages. Table of Treaties and Conventions.